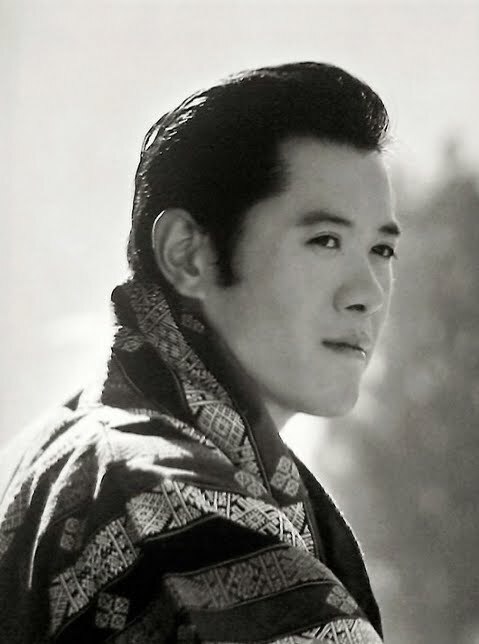 His Majesty King Jigme Khesar Namgyel Wangchuck has announced he will marry this October! The King of Bhutan, who is 31, plans to marry Miss Jetsun Pema: she will become Queen of Bhutan. The whole nation is overjoyed, with the exception of several thousand young ladies who heave heavy sighs of disappointment. The king made the announcement today, May 20th, during his address to the 7th Session of Parliament (text of speech via Facebook). "Today, at this auspicious gathering, I would like to make a short announcement to all the people of the 20 Dzongkhags. The wedding will be in accordance with age-old tradition, to seek the blessings of our Guardian Deities. I ask the government not to make any plans for a grand celebration. The happiness of my beloved father and the blessings of our People will give me the greatest joy and happiness." So, royal wedding watchers,turn your eyes towards the Himalayas! King Khesar (aka K5) is infinitely more crush-worthy than Prince William. There's the royal pompadour, for starters. Also, he's an Oxford grad who's into photography. And there's just something awesome about a monarch with dimples. I haven't read any biographical info about the Queen-to-be yet. I don't know if she is one and the same person as the King's girlfriend who I had heard some details about (you know how it is). Update: Bhutan Observer reports that future queen is a 20 year old international relations student and is from Thimphu. 2nd Update: Business Bhutan has a more thorough biography of Jetsun Pema which confirms that she is indeed the girlfriend of the king who I'd heard about quite some time ago. On the day William and Kate's wedding was announced last fall, I was having lunch at The Zone Cafe in Thimphu. I overheard two very posh Bhutanese ladies discussing the British royal engagement, saying, "I wonder if this will give someone any big ideas." Wise women! Further update since my Google results are blowing up with searches for pictures of Jetsun Pema: Riding the Elephant blog has posted this more casual photo of His Majesty the King of Bhutan and his fiancee/future queen Jetsun Pema, taken on the day the engagement was announced. She looks very queenly, wouldn't you say? And he looks very happy! For later photos of the couple, see HERE! For a description of what the King and Queen wore to be married, see HERE! Oh yeah, I'd take him over William any day! Gosh, they're both so beautiful! They are both so gorgeous. I can't even begin to imagine how good looking their children will be. I wonder if the king will follow his dad and have multiple wives, or if he's more a one woman kind of guy?